Henry VIII made sure that his son, Edward VI, was educated by Protestants. He did not want Britain to become Catholic after Edward ascended the throne. Thomas Cranmer, Archbishop of Canterbury, was Edward's lead spiritual advisor. Edward - also the son of Henry VIII's Queen Consort, Jane Seymour - became King at the age of 9. He'd been a sickly child. At the age of 15, the young King was determined to have a terminal illness. 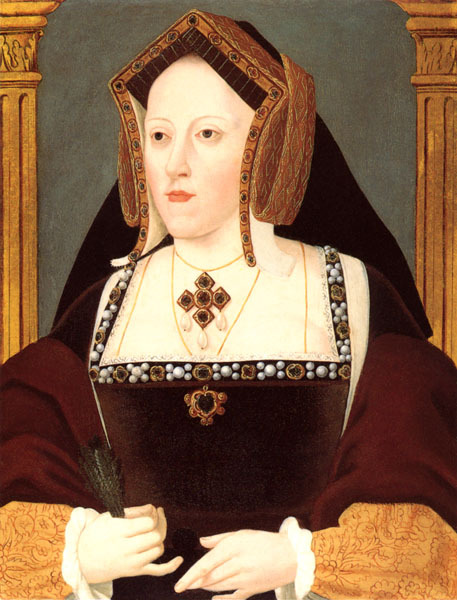 If he died, the Act of Succession would place the crown of Britain on the head of his half-sister, Mary Tudor (the daughter of Henry VIII and Catherine of Aragon). However ... Edward's advisers - principally John Dudley (also known as the Duke of Northumberland) - suggested that Edward could avoid his Catholic sister taking the throne by creating a different method of succession (called the "Devise for the Succession"). How would the "Devise" change the normal plan of succession? Northumberland would have his son (Lord Guilford Dudley) marry Henry VIII's great-niece (a young woman named Lady Jane Grey). This clip - narrated by Dr. David Starkey - provides background on the Duke of Northumberland's attempt to put Lady Jane Grey on Britain's throne. She actually served, as Queen, for nine days. The country, however, rallied around Mary and - on the 19th of July, 1553 - Jane was deposed. The next year, in 1554, Jane and her husband were executed. Clip from "Monarchy with David Starkey" (2006). Copyright, Acorn Media, all rights reserved. Clip provided here as fair use for educational purposes and to aquaint new viewers with the production. Bos, Carole "Lady Jane Grey" AwesomeStories.com. Oct 07, 2013. Apr 21, 2019.